This post is heavily inspired and based on the incredible work by Dr Carol Dweck. You should check out how she is changing the world of education by clicking here, here, or better yet, here. Imagine a future not too far from now: you need to improve or upgrade some ability or knowledge. You head down to the local Google, Apple or Elon Musk Upgrading Station and select an upgrade for your brain (think the scene from the Matrix where Keanu Reeves learns kung-fu). 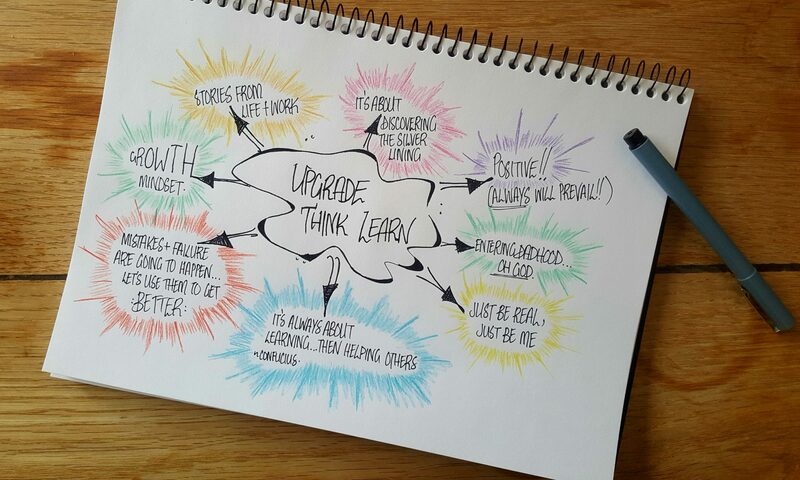 Whilst I would love to tell you that an upgrade in your mind is that simple…there is a little bit more to it. But, whilst we don’t have Brain Upgrade Stations available just yet, there is something we can already do right now to start that upgrade. It begins with your beliefs, values, attitudes, comfort zones and understanding of your ability to learn. Some of us hold the view that everything about us is already set and can never change. We believe we are fixed as we are. What I call Fixed You. Ah, Fixed You, you old devil. I remember you. I remember experiencing Fixed You when I was sitting in Art classes and I would try to paint a tree with a yellow trunk. I promptly learned the lesson that taking risks is not worthwhile – especially when in this person’s class. The child in front of them is swiftly taught an important message: you can’t do this, so don’t bother trying. Oh God, they didn’t actually say that in front of them, did they? Fixed You has a seemingly smart approach to life. Fixed You picks up patterns, makes quick judgments and ultimately believes it knows the lay of the land. Things that are new, different or challenging are dismissed as unimportant or unattainable. Learning how to kick a football with your left foot? Nice try. Stick with the right foot. Can’t recall if it was Trotsky or Picadilly who murdered Cleopatra? Find a way to distract others so no one will realise you don’t know the answer… or better yet, just always opt out of any conversation or lesson involving this so you never have to be out of comfort zone. (It’s neither, for those playing at home). Which gives some insight into those students of ours who would rather take on the role of The Class Fool than actually admit their not sure of something. You might also see these students when they take on the role of The Perfectionist. You know these kids. They’re the ones who either can’t ever finish things on time, or get right near the end of a task and start to plead for a new piece of paper to start from scratch. Fixed You sees its brain as a bucket that is there to be filled up. Once you reach maximum capacity, that’s it. Everything you are and can be was decided when you were first conceived. Fixed You truly believes that your intelligence, capabilities, aptitude, creativity, reasoning and “other” features were all fixed from the beginning. The amazing thing is that through understanding the work of Carol Dweck everything we have been speaking about can be changed. By upgrading the way we view making mistakes and investing in practice and effort, we can increase the performance of our brains. Ladies and gentlemen, let’s welcome Growth You. And now Usain Bolt makes his appearance right on time. Click on the man himself to discover just how much work goes on behind the scenes for the man who makes running look effortless. I love using this video with various classes students to help introduce the idea of growth mindsets. It challenges what they thought “hard work” and “effort” were. It’s amazing how many of them are shocked at the effort and work he invests in continually pushing himself. What makes Growth You so amazing is that it contrasts all of the things listed above. The potential within our brains means we almost have a bucket that cannot be filled to capacity. Or, as I say to the kids in my class, like a Mary Poppins bag of never ending goodness. The key is that we need to make sure we are providing opportunities for our students to begin taking small risks and challenge themselves. Challenges as simple as explaining why they think something, proving an answer or even flipping a maths question to be “if the answer is 34, what might the question be?”. When we begin to make challenges a normal part of our classrooms we can help our students start to put in effort and hard work. Sometimes even with this hard work and effort, they may still fail…which is when we show them the value in seeking feedback and putting in more effort and hard work. Damn right, I’m all about hard work, time and effort now. Helping the kids in our classes reach Growth You means they have to actually put in the time, effort, practice and hard work. Just imagine how incredible it would be to have a class full of kids walking away willing to not only push themselves in the classroom but seek out new ways to challenge themselves throughout their lives. I don’t know about you, but putting in the hard work, effort, practice, and focus on achieving that is more than worth it. Let’s bring on Growth You. Enjoyed this post? Why not join our digital community to keep getting our posts and stories straight to you? !